Bread is shaped by the environment it’s baked in. As the yeast ferments, as the bread leavens, it’s cast and flavored by the air and the environment. You can bake two loaves of bread in two different cities, using the same flour and the same recipe, and the bread will have different tastes, different qualities. And it’s shaped, too, by how it’s handled; by the craftsmanship and the care in the baker’s hands. In this way and in so many others, Faria bread is shaped by Sacramento. I moved to Sacramento when my wife was placed here for medical school residency, and I immediately fell in love with this city and its people. We walked along the river and sat beneath the city’s trees, and we fell in love with the closeness and charm of our new community. I wanted to give back to the city the best way I knew how - by baking. I set up a small cottage bakery, joined farmers markets, and sourced as many local ingredients as I could find. 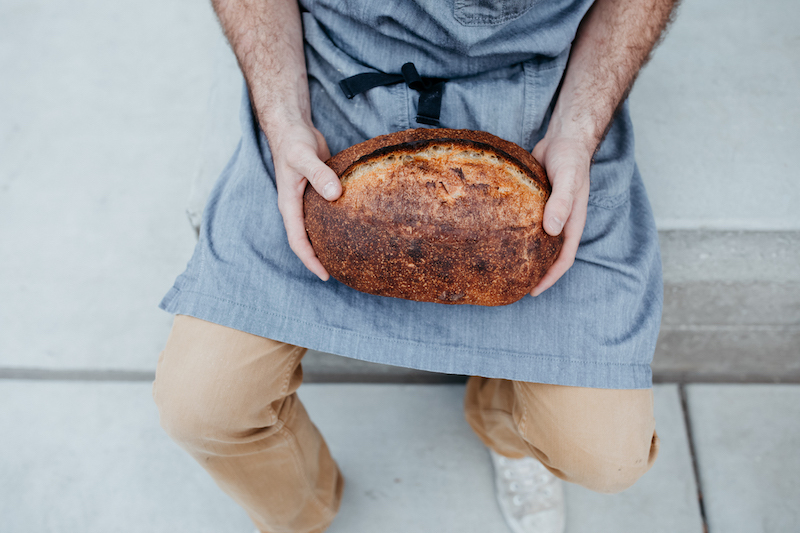 I see bread and pastry as more than a vehicle for other foods; it’s a way to build community, try new flavors, and way to bring more whole grain, healthy foods to the community. I hope you enjoy sharing in my passion for baking.